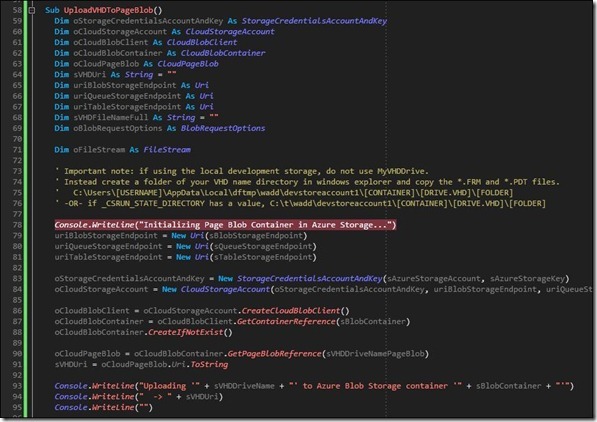 Today I gave a presentation to my co-workers Sung P. and Lanh N. on how to use the new Windows Azure CloudDrive feature. 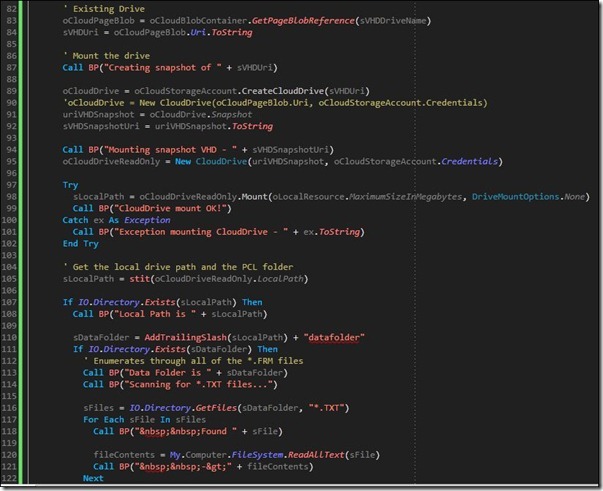 I thought it would be a good idea to share what I found on the Azure CloudDrive with the .NET development community. In the screenscasts, I show how you can create a VHD file, format it and upload it to Azure Storage. I then show how a Windows Azure Web Role can retrieve the VHD file from Azure Storage, cache it locally and mount it as a NTFS drive. 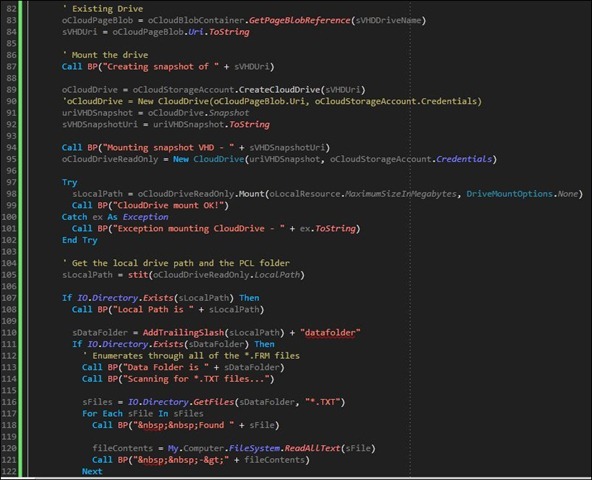 Below I have screenshots, links, and additional notes on Windows Azure CloudDrive that I used during the presentation. Good Times! These are general points on the Windows Azure ‘CloudDrive’ feature. These are in no particular order – but they are important in understanding in what scenarios a CloudDrive can be useful and what potential problems you may run into. 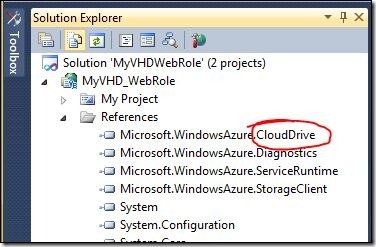 Windows Azure SDK 1.1 (Feb 2010) released a new feature: CloudDrive. 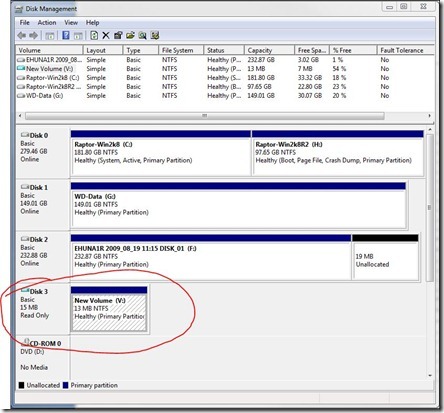 When running in the fabric an Azure web or worker role can mount a VHD file - which is then available as a hard drive. The minimum size of a VHD is 16 MB. The maximum size of a VHD is 1 TB (which is the maximum size of an Azure Storage Page Blob). The VHD must be formatted as NTFS (FAT is not supported, I have a request here). 20 MB VHD: only 7.9 MB of free space after initial formatting. 25 MB VHD: only 12.8 MB of free space after initial formatting. For larger drives the additional security headers of a NTFS drive do not come into play. Only one web or worker role can have read/write access to a specific VHD at any time. You need to get a "lease" on page blob for this to work - I have not done this yet (no demo code for this). For read-only access, you create a "snapshot" of an Azure Storage Page Blob (VHD), which you can then mount. Snapshots are small in size: roughly 512 bytes, they are only a pointer to the actual page blob containing the VHD. Remember to delete the snapshot and un-mount the drive on role shutdown. 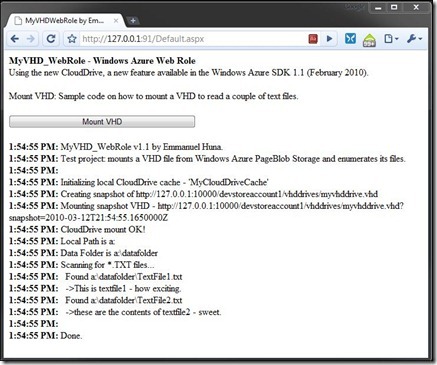 The VHDs can be cached locally in your web role's local storage. The local "on-disk" cache maximum size depends on the VM size you chose for your web/worker role. Once you mount a CloudDrive you get a drive letter and you can use System.IO classes to read/write to files. Important: mounting a CloudDrive only works in the Azure fabric, local development fabric or Staging/Production cloud. You cannot mount the drive in an ASP.NET site running in IIS, a console app or Windows Forms app. If you are running in the local development fabric, you can only mount a VHD from local storage. If you are running in the Staging/Production cloud, you can only mount a VHD from Azure Storage. 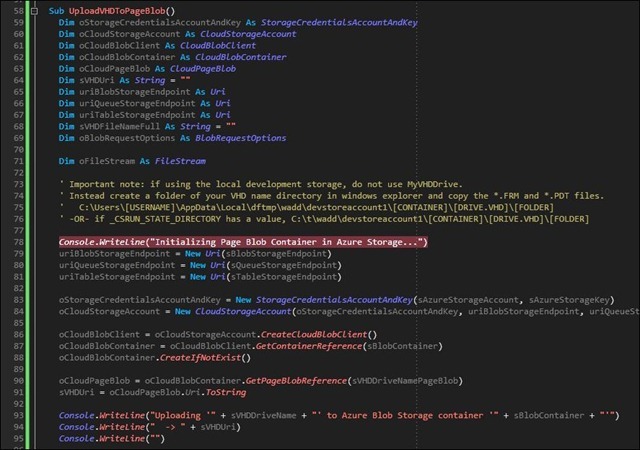 Good overview document: "Windows Azure Drive - February 2010v2.docx" - see the "Usage Patterns and Best Practices". In this sample projects I cover in the screencasts, we create a VHD, copy in some text files, and deploy the VHD to Azure Storage; then in a web role we mount the VHD as a CloudDrive and read the text files. 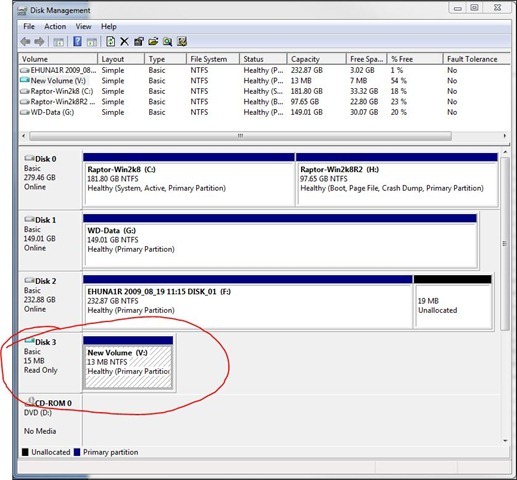 Can be done manually in Windows 7 and Windows Server 2008 R2 through Disk Management. We use Computer Management > Disk Management > Create VHD to create a 20 MB VHD. We might also be able to upload the VHD to Azure Storage through the latest version of Cloud Storage Studio or other GUI clients (download worked). In development the VHD storage is a simulation, so the same method cannot be used. Instead there's a trick to create the VHD and copy files manually. Create a snapshot of the existing Page Blob (VHD). Read the files using System.IO! Un-mount the read-only cloud drive and delete the snapshot in your web role shutdown code. My thread: Getting "Error HRESULT=80070003"
My thread: Read-only CloudDrive is a snapshot: when should I delete it? Is it possible to Delete a blob snapshot? Instead manually create a folder of your VHD name directory in windows explorer and copy the needed files. This page contains a single entry from the blog posted on March 12, 2010 11:20 PM. The previous post in this blog was Red-Gate’s SQL Compare – now with SQL Azure support!. The next post in this blog is Running multiple apps on the iPad at the same time (Multitasking) – now!.